Been also meeting Sarah Darling for club. Rebel & Zirca on the last wed with baby. Went off as she was drunk, sent her home, and headed to Ecp once again for sunrise. :( But in the end, we wouldn't want to wait already. So left early. So I shall now count down to baby's one month and my birthday ! Can't wait! 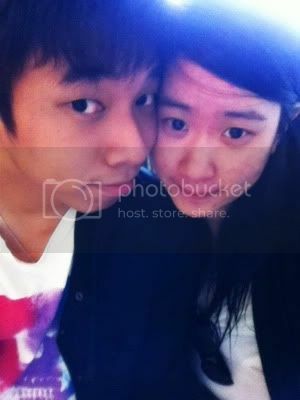 :) Gonna have a runaway trip to Genting with baby :) Gonna celebrate both occasions there. :) And brought baby to Aunty Doris's place, the kids simply like him :) Watched The Last Exorcism, Stupid show, scared me like hell. PS . I TREASURE YOU, ME, THIS LOVE, US. APPRECIATE ALL YOU HAVE DONE, LOVE YOU, DEEP DEEP.